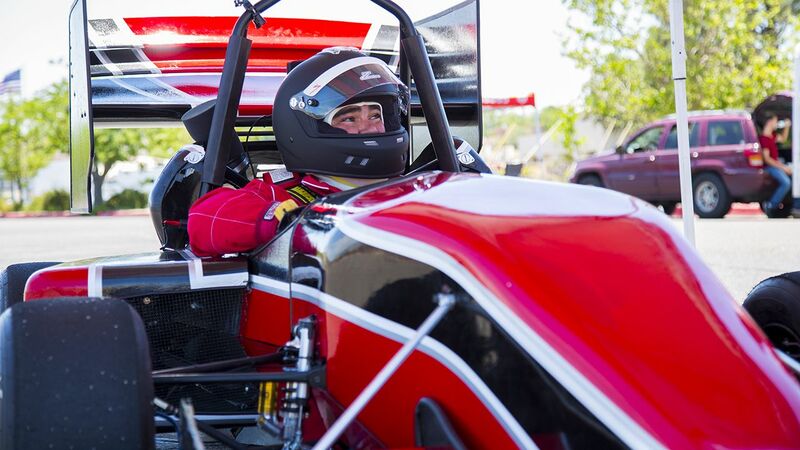 The University of New Mexico Formula SAE team has nearly two decades of design, build and racing experience under its belt. With a top speed limited to around 60mph, student engineers focus the design on acceleration, handling and braking. 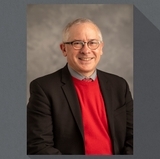 John Russell, professor of Mechanical Engineering. Engineering students working to solve an ignition issue on the track. FSAE Project Manager and UNM senior Jonathon Abeyta getting ready to take his laps. 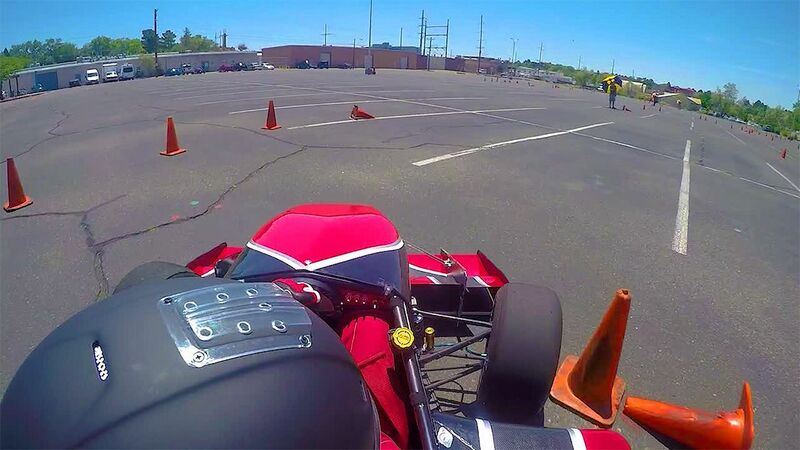 Student engineers take over UNM's 'G' Parking Lot on the weekends and transform it into a race track. 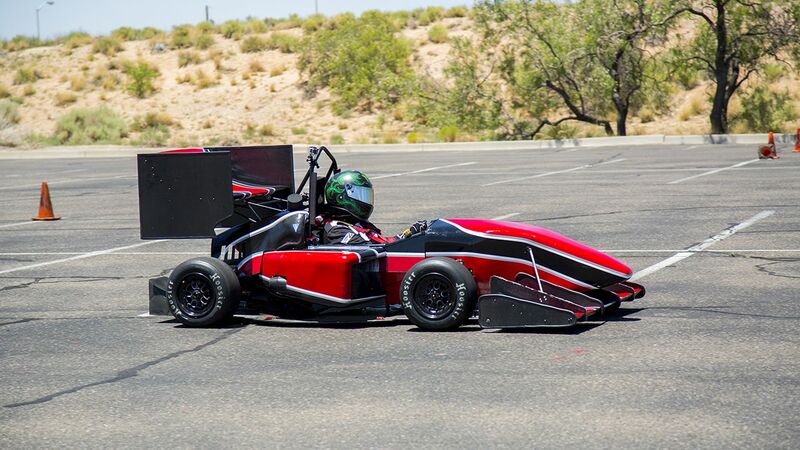 The University of New Mexico Formula SAE team has nearly two decades of design, build and racing experience under its belt. Under the direction of John Russell, professor of mechanical engineering, the team has grown and evolved, and also has had some great results, including being ranked as high as fifth best out of 125 in the United States and 18th best out of 500 in the world. However, the last couple of years, results at the annual international race competition in Lincoln, Neb., have not been as stellar because of some mostly- preventable failures. Russell says that although the team has done well with the resources it has, better-financed teams with newer equipment, facilities, and more specialized expertise have stolen the spotlight. Enter this year’s addition of Mike Arnold, a veteran of the Indy Car circuit, as lab manager. Arnold, who came in at the beginning of 2017, has experience in the building, design, and fabrication of racecars. He has been working with the program to provide expertise on the build of the car and organization of the shop. Russell said even small changes implemented by Arnold, like being there to answer questions, have greatly helped the team. 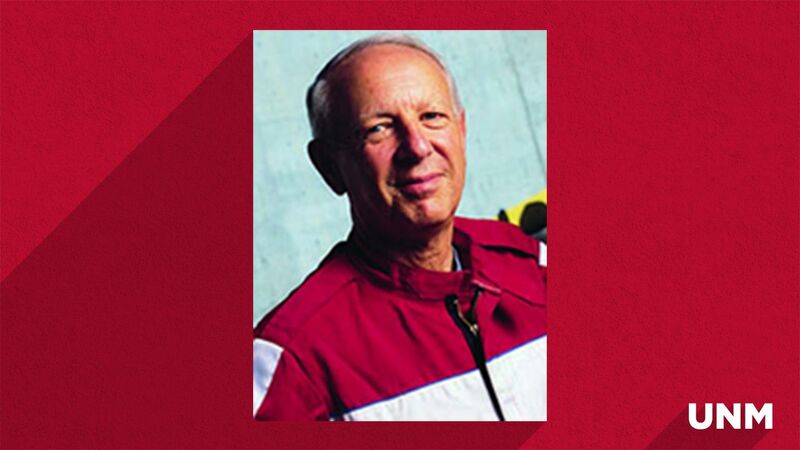 The UNM FSAE team will compete in Lincoln this year June 21-24 with a revamped car that Arnold had a hand in, along with Alan Mertens, a veteran award-winning Indy Car designer and builder who for years partnered with Al Unser Jr., a two-time Indianapolis 500-winning driver. In addition, Unser, an Albuquerque native, worked some with the FSAE team during practices to give the team driving tips. Russell said with the extra expertise on board this year — Arnold focusing on the build of the car, Mertens giving advice on the design, and Unser helping with driving — he has been able to focus on his primary expertise of vehicle dynamics. Team lead and mechanical engineering senior Jonathon Abeyta said he feels that this attention to detail early in the design and build process makes them feel ready for competition. “Things can always go wrong that you don’t expect, but I think we feel prepared and should be really ready at the competition,” he said. In terms of changes on the car this year, the team has made strides to improve the engine system, which has given them issues the last couple of years. This year’s turbo-charged engine should help control boost pressure for different events in the competition, as a single-cylinder fuel injector will help the engine run cooler with greater fuel efficiency, Russell said. Abeyta said that in addition to the larger engine changes, they’ve installed a new centrifugal clutch that will help prevent the engine from stalling, and have installed improved instrumentation on the dash that will help them detect problems when they still can be remedied instead of waiting until they become a major issue and threaten to sideline the car as in the past. Abeyta said it’s been an educational process working with Arnold. “He’s helped us catch a lot of issues early and helped us think of things that should be fixed that we might not have thought of,” he said. Russell said hiring Arnold to manage the shop is the first step in a new five-year plan called the Venture for Racing Excellence to raise funds to revamp the FSAE program — which includes acquiring all-new equipment and a larger design and build space — in an effort to not just improve competition results, but also to enhance the learning experience for students and raise the profile of the program, the School of Engineering, and UNM. 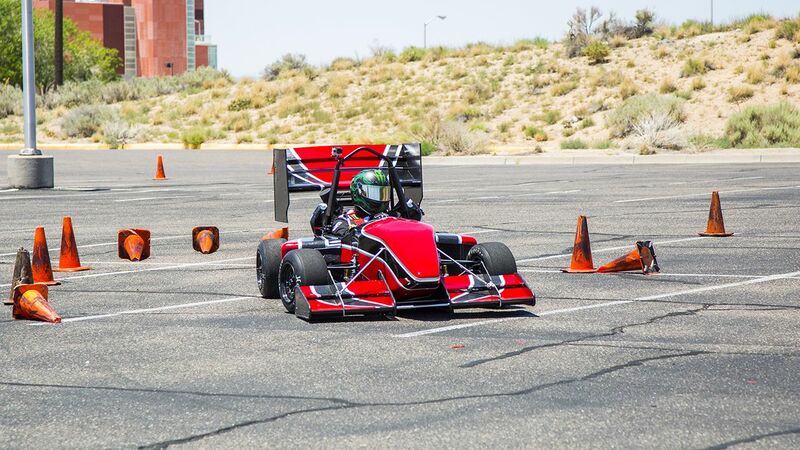 The LOBO Motorsports FSAE program is a problem-based, hands-on senior design program where over the course of three semesters, students design, build, and race a small Formula-type racecar for international competition. The project includes every aspect of systems engineering, project management, and teamwork seen in a government or industrial engineering development program. 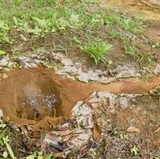 In a little over a year, the team takes a system from conception to operation. The program is interdisciplinary and has about 45 students on each year’s team. It is one of the few programs in the country that doesn’t operate as a club. Instead, FSAE is a for-credit alternative to a senior design project. 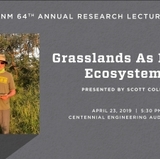 To donate to the Venture for Racing Excellence, contact Courtney Holmes at (505) 277-0664 or courtg@unm.edu.